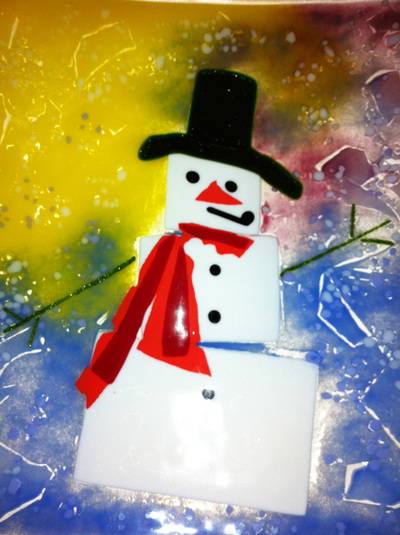 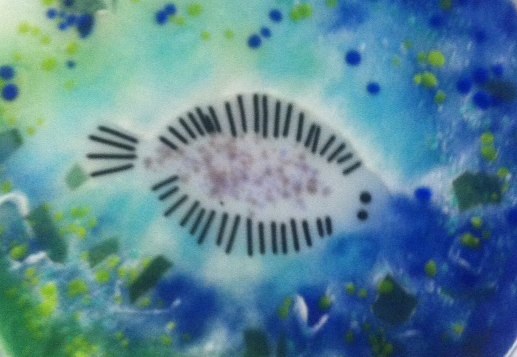 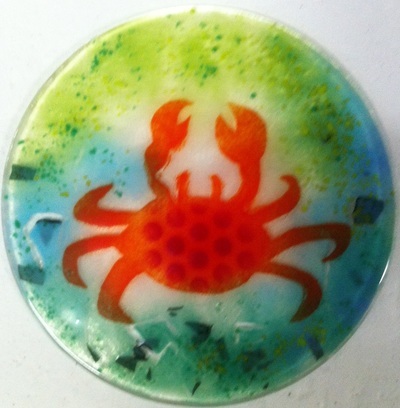 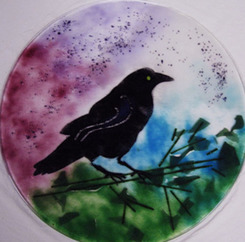 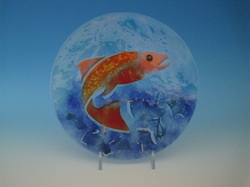 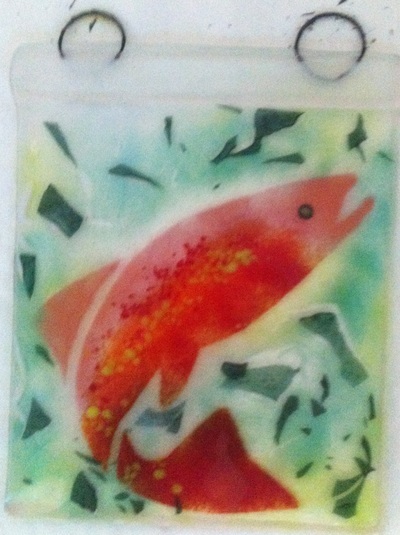 with powdered glass, frit & accessory glass on top of a clear art glass blank. 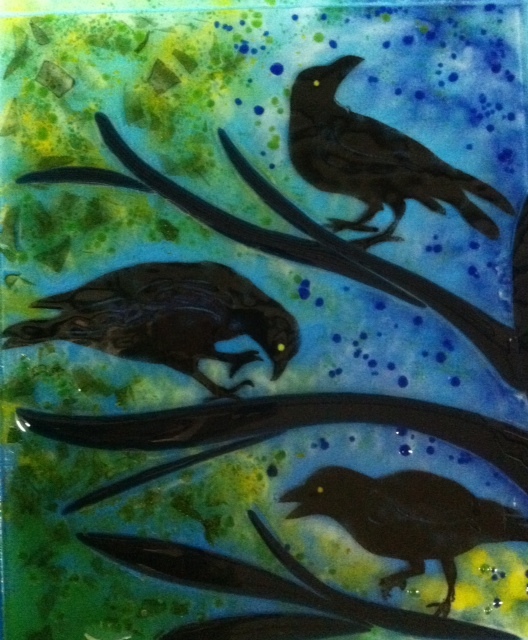 Each piece is unique as many layers of glass are used & as it melts together in the kiln the colors change & flow creating new colors & texture. 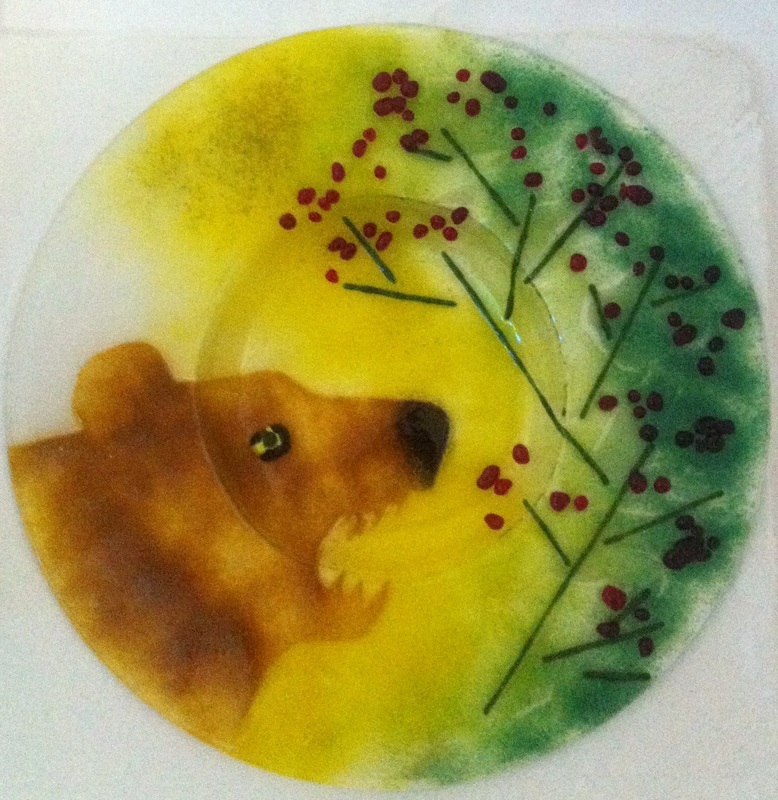 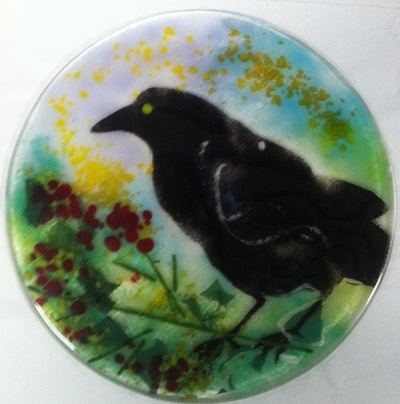 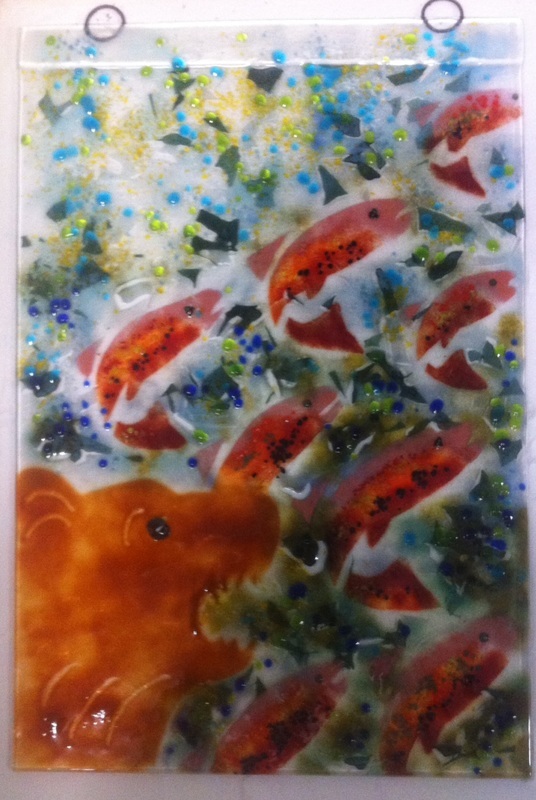 Images in glass: Raven, Bear & Berries, Moose, Salmon, Octopus, Mermaid, Halibut, Honeybee, Snowman, & Mountain Aurora. 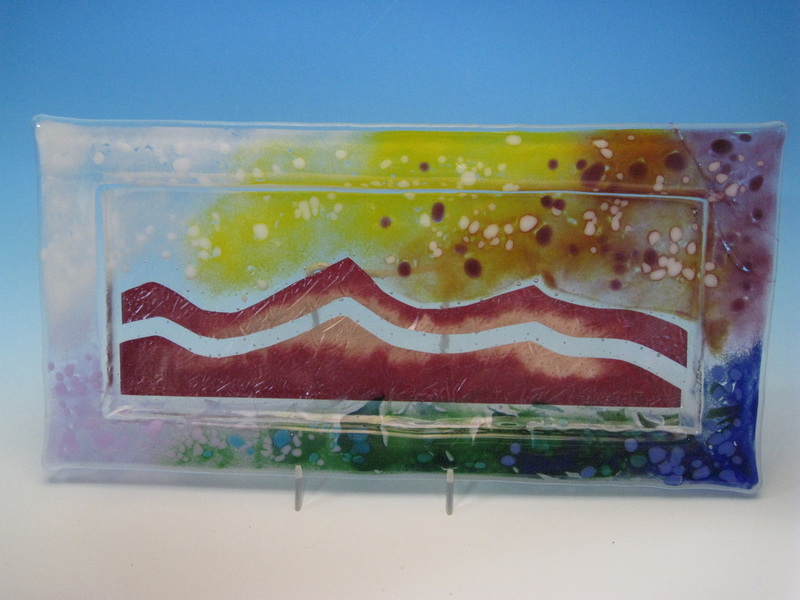 Wall or window art sizes: Strips (2" X 8"), Small (4" X 5"), & Medium (6" X 8"). 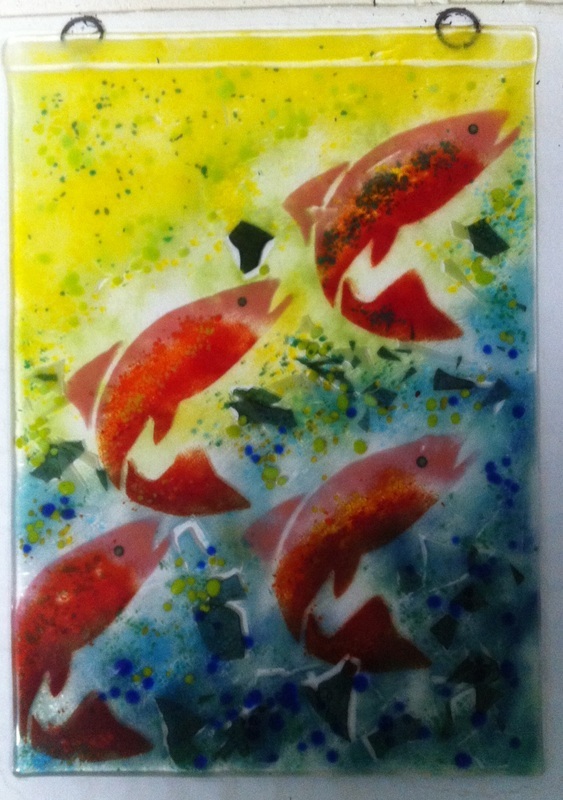 Large hanging panels: 16" X 18" or 18" X 20" or custom size.